Molds are microscopic fungi that live on plant or animal matter. They can be found indoors and outdoors and are part of our natural environment. They play an important role in the environment by breaking down and digesting organic material. Also called fungi or mildew, molds are neither plants nor animals; they are part of the kingdom Fungi. Molds can multiply by producing microscopic spores similar to the seeds produced by plants. Many spores are so small they easily float through the air and can be carried for great distances by even the gentlest breezes. Molds come in many colors including white. "Black mold" is not a species or specific kind of mold, and neither is "toxic mold." Sometimes the news media use the terms "toxic mold" and "black mold" to refer to molds that may produce mycotoxins or for a specific mold, Stachybotrys chartarum. Molds that produce mycotoxins are often referred to as toxigenic fungi. Mold is not usually a problem indoors -- unless mold spores land on a wet or damp spot and begin growing. As molds grow they digest whatever they are growing on. Unchecked mold growth can damage buildings and furnishings; molds can rot wood, damage drywall, and eventually cause structural damage to buildings. Mold can cause cosmetic damage, such as stains, to furnishings. The potential human health effects of mold are also a concern. It is important, therefore, to prevent mold from growing indoors. Clean up and dry out the building quickly (within 24 to 48 hours). Open doors and windows. Use fans to dry out the building. (Click on the following link for additional information on Reentering Your Flooded Home). When in doubt, take it out! Remove all porous items that have been wet for more than 48 hours and that cannot be thoroughly cleaned and dried. These items can remain a source of mold growth and should be removed from the home. Porous, non-cleanable items include carpeting and carpet padding, upholstery, wallpaper, drywall, floor and ceiling tiles, insulation material, some clothing, leather, paper, wood, and food. Removal and cleaning are important because even dead mold may cause allergic reactions in some people. If you wish to disinfect, you can refer to the U.S. Environmental Protection Agency's document, A Brief Guide to Mold and Moisture in Your Home. If the area to be cleaned is more than 10 square feet, you should consult the U.S. Environmental Protection Agency (EPA) guide titled Mold Remediation in Schools and Commercial Buildings . Although focused on schools and commercial buildings, this document also applies to other building types. You can also get it free by calling the EPA Indoor Air Quality Information Clearinghouse at (800) 438-4318, or by going to the EPA web site http://www.epa.gov/mold/mold_remediation.html. More information on personal safety while cleaning up after a natural disaster is available at the CDC. 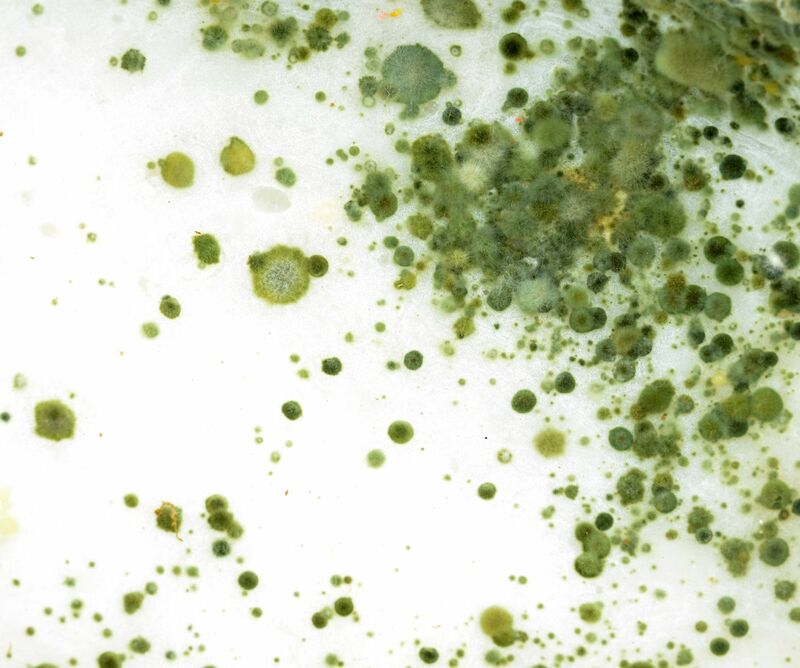 For more information on mold issues, contact the Connecticut Department of Public Health at 860-509-7742.